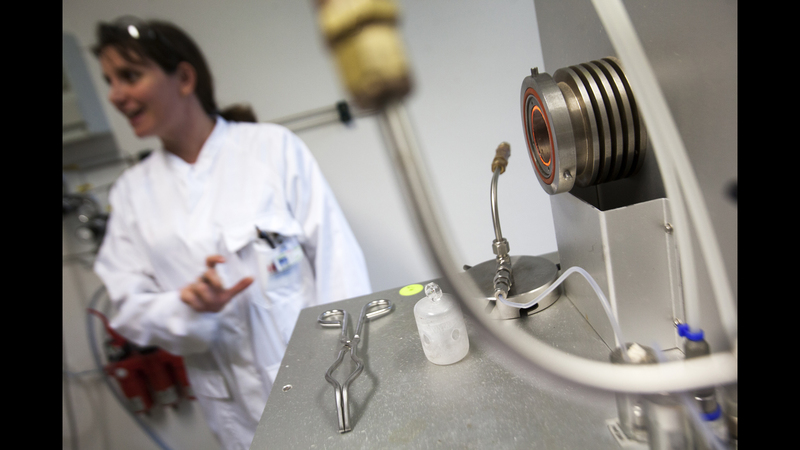 ​IRSN has developed a range of measurement resources, some of which are the only resources of their kind in France, used to quantify radionuclides present at very low concentrations, or even at trace levels, in samples taken from the environment. Some of these measurement resources are found at the Environmental Radioactivity Measurement Laboratory (LMRE). ​At the LMRE, in Orsay, trace levels of radionuclides are measured inside a shielded room. Originally built in 1955 to detect fallout from atmospheric nuclear weapons tests, this room, which measures 4mx5m, is located on the building's second basement level, beneath a 3-meter thick borated concrete slab. The walls are made of 10 cm-thick lead with a 0.5 cm thick liner made of copper. This design reduces background radiation due to ambient gamma radiation by a factor of 100. It is used to measure trace levels of gamma-emitting radionuclides present in samples taken from the environment, thanks to three different types of detector: conventional germanium detectors, germanium detectors equipped with anti-cosmic systems, and the LEDA multi-detector device. 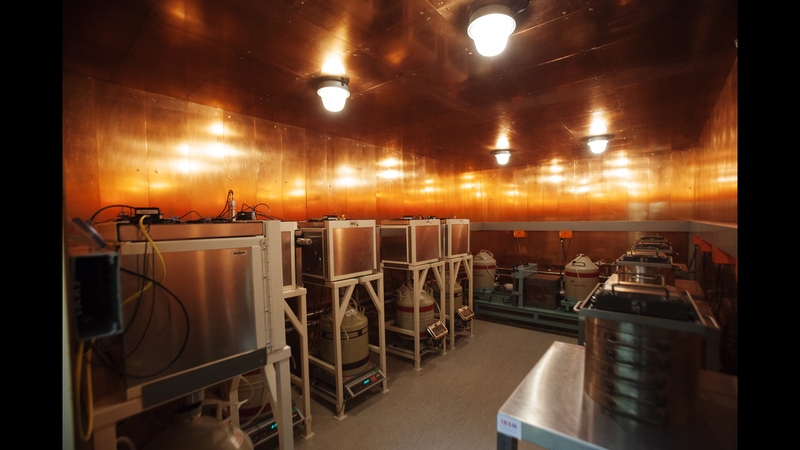 ​​Inside the LMRE shielded room (copper and lead): on the left, germanium detectors equiped with anti-cosmic systems surounded by plastic scintillator; on the right, conventional germanium detectors in their lead shield; in the background, LEDA detector. ​Installed inside the shielded room, these detectors are used to measure different radionuclides within a detection limit of 0.1 Bq/L for water and 0.1 to 1 Bq/kg for solids (plants, earth, etc.). In water, the main radionuclides looked for are Caesium-134 and 137, and Iodine-129. In solids, the radionuclides of interest belong in the "families" of natural radioactive elements, i.e. Thorium-232, Uranium-235 and 238, together with Caesium-134 and 137, and Iodine-129 and 131. ​These detectors are protected from cosmic rays thanks to five plastic scintillator detectors, which surround each of the five sides of the 5 cm-thick lead shielding. They are used to detect traces, to a few millibecquerel, of Caesium-137 on aerosol sampling filters. These measurements are taken to determine the activity concentration of Caesium-137 in the air at levels that can be a low as 0.02 µBq per cubic meter of air. ​Inside view of an anti-cosmic detector. These germanium detectors are protected by shielded walls to avoide any disturbance of the measurement by cosmic rays. ​Developed by the LMRE team (thesis by Hugues Paradis, defended on September 16, 2016), the LEDA detector is made up of two germanium detectors used to determine photon emission in coincidence. This device enables the presence of Cobalt-60 to be identified in an organism which contains naturally-occurring Potassium-40, in the proportion of one part per thousand. This detector is used with a scintillator that works through anti-coincidence, to stop background cosmic radiation and background radiation from the sample itself, known as the Compton continuum. The anti-cosmic device used by the lab in the past is kept outside the shielded room. This device is what inspired the team at LMRE to design the simpler, more compact anti-cosmic systems now installed inside the shielded room. Beside it is the Compton suppression device, made up of a germanium detector surrounded by a crown of sodium iodide (NaI) scintillators and covered by a NaI detector for a detection angle of almost 4. Based on a numerical electronics system, this system is used to suppress the Compton effect in a spectrum by anti-coincidence. It is especially useful for measuring biological samples that contain high levels of Potassium-40. System for the rapid measurement of alpha and beta emitters. ​Prototype system for the rapid measurement of 16 alpha- and beta-emitting radioisotopes: 233U, 234U, 235U, 236U, 238U, 239Pu, 240Pu, 241Pu, 242Pu, 237Np, 241Am, 243Am, 90Sr, 229Th, 230Th, 232Th. This new system, developed by the LMRE team (thesis by A. Habibi) uses a liquid chromatography module coupled with a quadripolar ICP-MS system. The protocol used can quantify these radionuclides in less than two hours, compared to several weeks using conventional protocols, albeit with reduced sensitivity but still suitable for emergency situations. The detection limit is from one µBq/kg to around a hundred Bq/kg depending on the radioisotope in question. 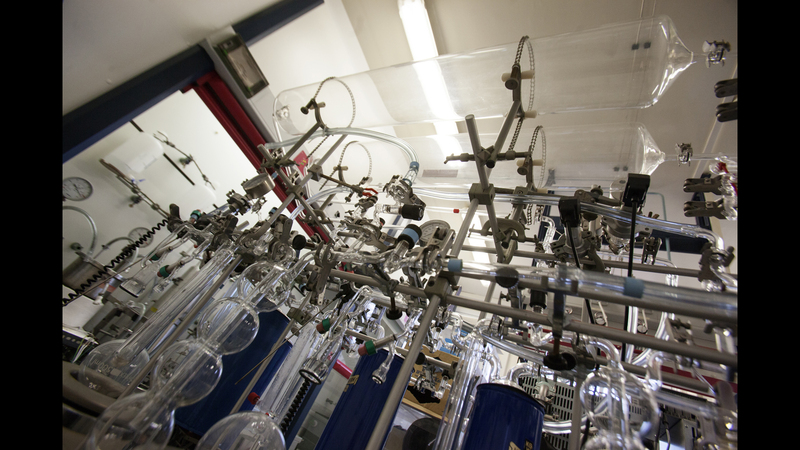 LMRE also has a high-resolution magnetic-sector ICP-MS system. This is 10 times more sensitive than the quadripolar ICP-MS. It is used to quantify isotopes that are not abundant in nature, such as 239Pu, 240Pu and 241Pu. Sample introduction system in the ICP-MS magnetic sector. 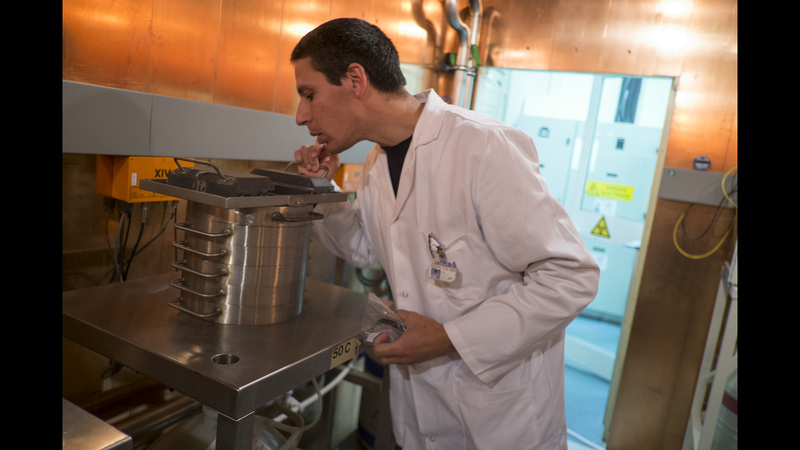 ​The Radiochemistry Laboratory uses a variety of techniques to quantify alpha- and beta-emitting radionuclides present in food and environmental matrices. 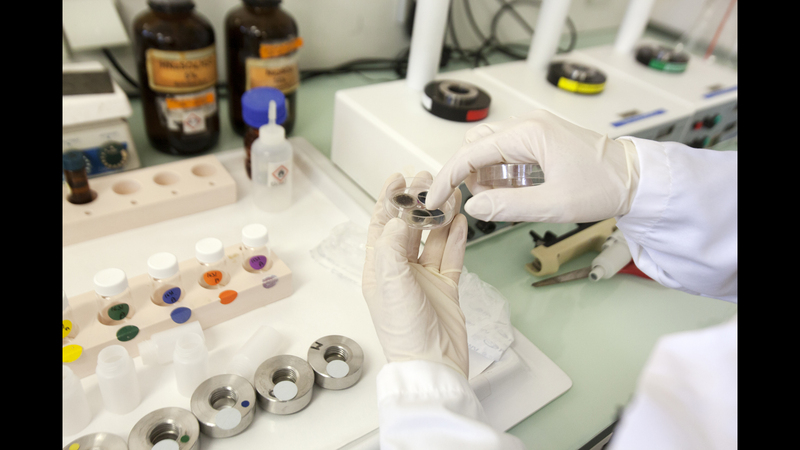 Samples are first calcined, dissolved and then purified using selective chromatographic resins which separate the elements to be measured. Chromatographic columns to separate the various radionuclides in solid or liquid samples taken from the environment. 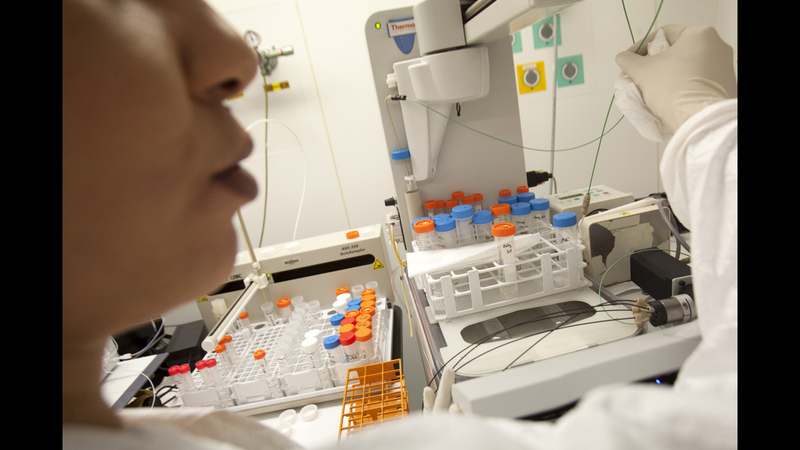 These steps are performed to enable measurements using alpha spectrometry, proportional counters or ICP-MS at very low levels of radioactivity. In LMRE radiochemistry laboratory LMRE for the analysis of plutonium and americium, the technician presents the metal discs on which these elements are electrodeposited. 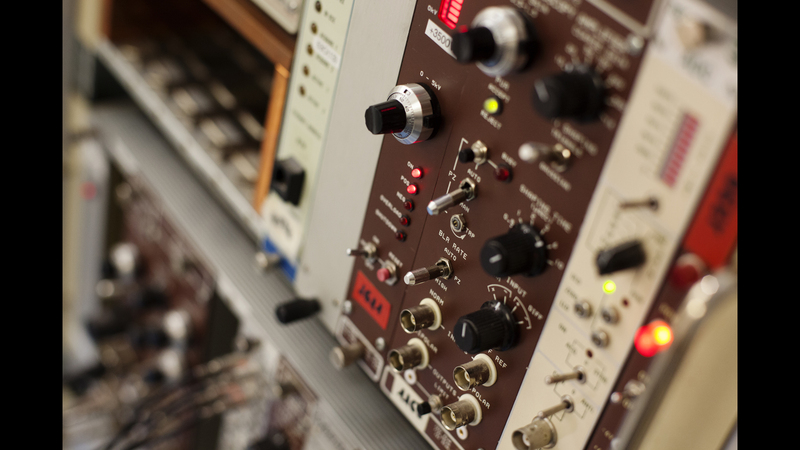 In the background on the right, the electrodeposition device. The color code is used to identify the different samples throughout the process. 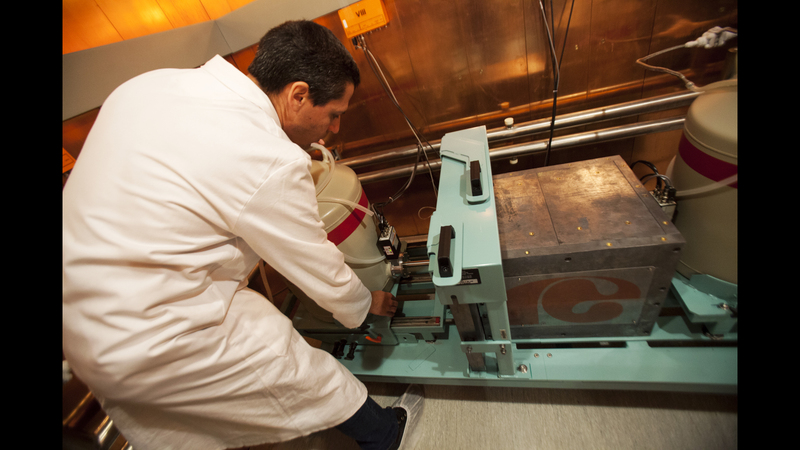 ​Used in the first step in the protocol for the fast measurement of radionuclides in samples taken from the environment (A. Habibi's thesis), the alkaline fusion oven mineralizes solid samples taken from the environment in half an hour (up to 0.5 g). This operation is performed at a temperature of between 800 and 1,000°C and uses LiBO2 salts. 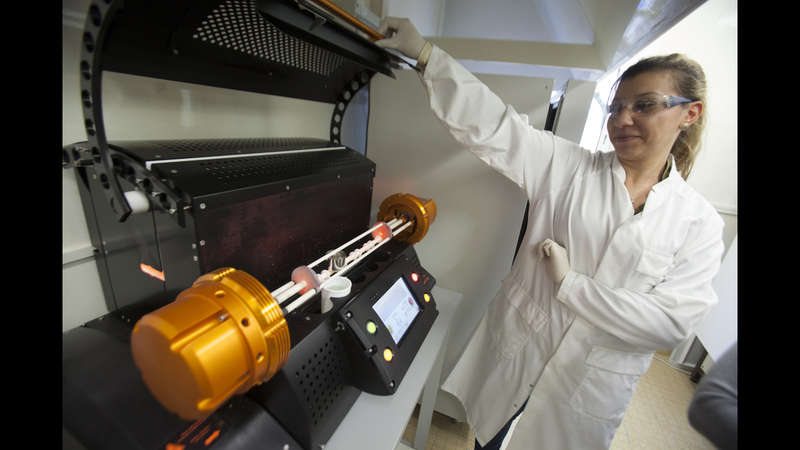 ​Azza Habibi in front of the alkaline fusion oven to rapidly mineralize solid samples taken from the environment in order to measure radionuclide concentrations. 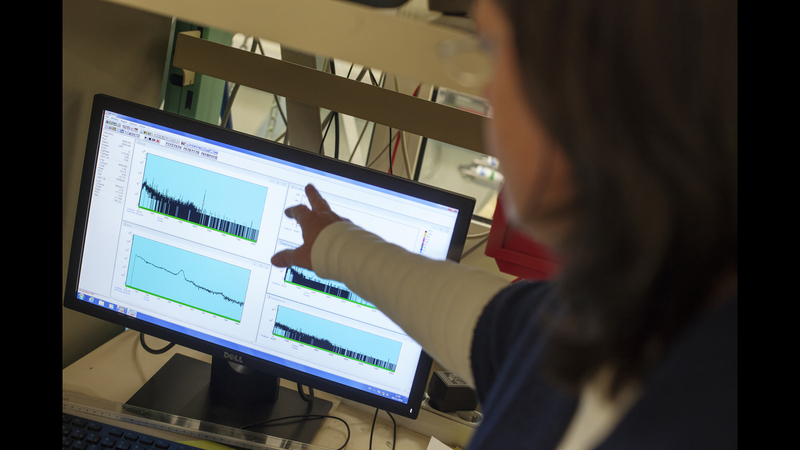 ​Various equipment is used at LMRE to measure concentrations of tritium in solid or liquid samples taken from the environment. Different techniques are used depending on whether the tritium is organically-bound (OBT), i.e. incorporated in organic matter present in the sample, or present in water (HTO, or tritiated water, in drinking water, river water etc.) or in the free water present in tissue in solid samples (Tissue Free Water Tritium, or TFWT). or by measuring the 3He produced by decay of tritium contained in water or in the dehydrated solid sample, after separating the sample in a vacuum, in a sealed container. To determine the concentration of OBT in a sample, the dehydrated sample is heated in a mix of argon and oxygen to extract the hydrogen present in the matter. Combustion takes place at a temperature of approximately 850°C for 6 hours. 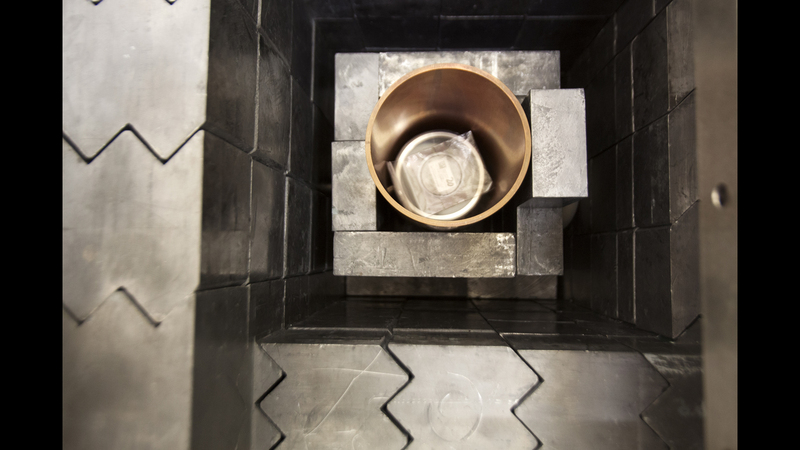 Water vapor contained in the combustion gases is collected in a cold trap outside the oven. 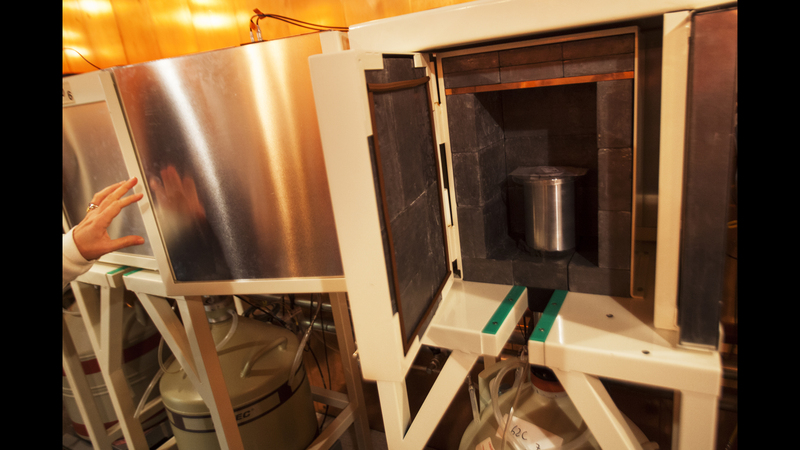 LMRE oven for the combustion of solid samples taken from the environment for the analysis of organically bound tritium (OBT). As it exits the oven, the combustion water is neutralized and then distilled to remove any impurities. 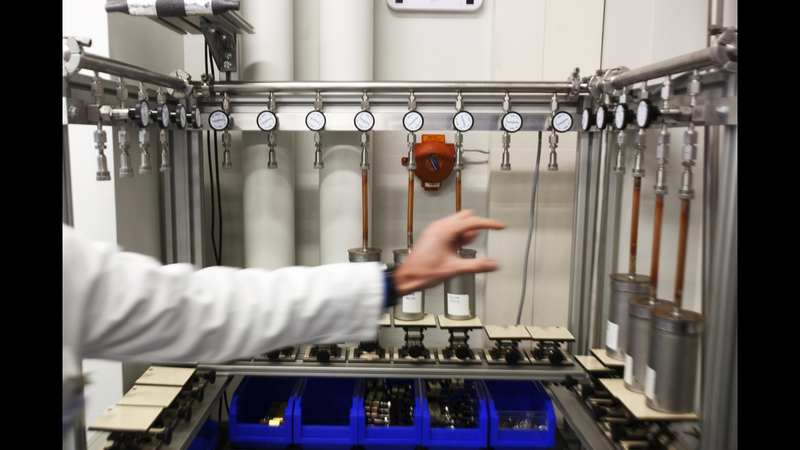 The equipment installed at LMRE is used to analyze water and dehydrated solid samples. A sample is placed in a metal container. 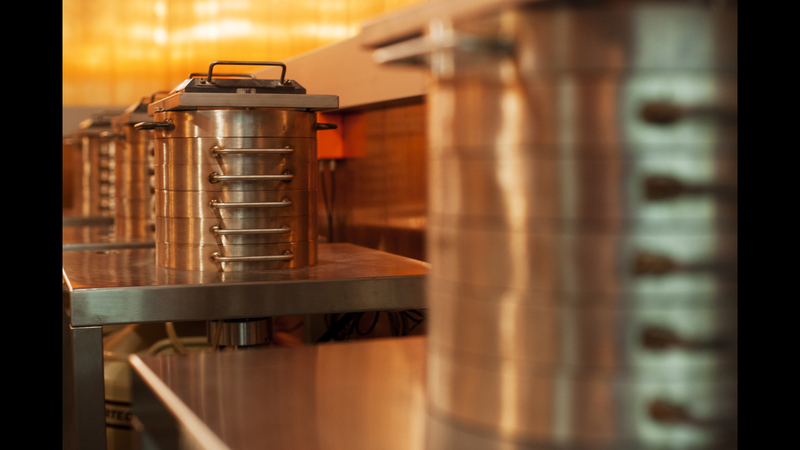 Following vacuum degassing, the container is sealed and stored for a period of time that depends on the desired performance (usually 4 months). The sample is stored to allow the production of 3He as tritium decays. 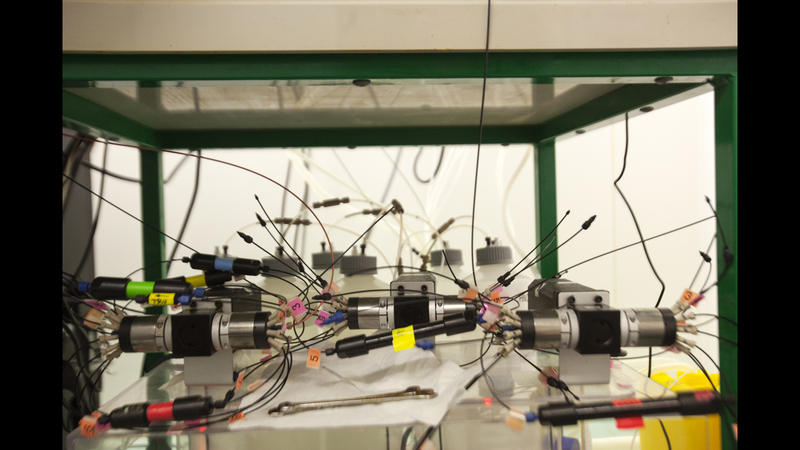 Following this period in storage, the containers are placed in the rare gas mass spectrometer to measure the two isotopes 3He and 4He. The results for 3He can then be used to calculate tritium activity levels based on its half-life. 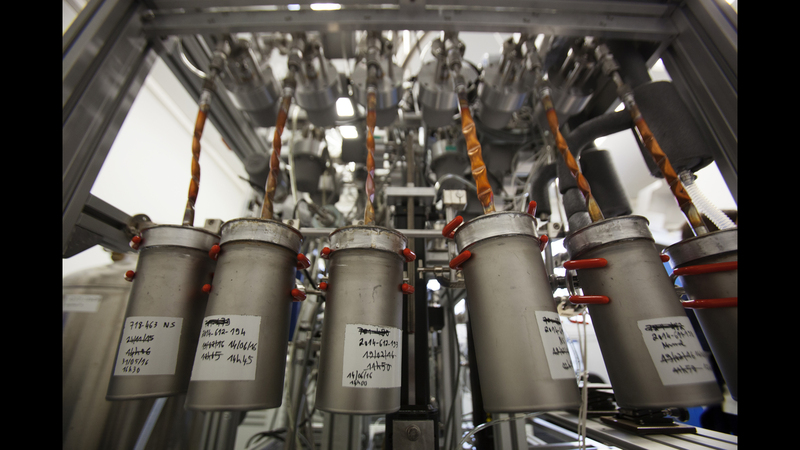 Vacuum system for degassing containers used for the measurement of tritium in solid samples taken from the environment via the measurement of its downstream helium-3. ​Vacuum degassing containers used for the measurement of tritium in solid samples taken from the environment via the measurement of its helium-3 decay. They are here mounted on the introduction line of the rare gas mass spectrometer.